Recently in Nicosia, the so called Study Days took place, organized by the Euro-parliamentary group called European United Left/Nordic Green Left (EUL/NGL). 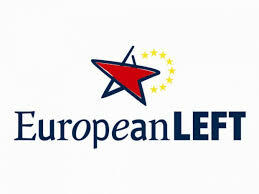 As is known, the KKE withdrew from this group in 2014 since it is in essence the Euro-parliamentary arm of the opportunist Party of the European Left (PEL). The KKE in European matters coordinates its action with the 30 Communist and Workers’ Parties that participate in the European Communist Initiative. Returning to the recent event, the Study Days of the EUL/NGL, it’s worth taking a look at the statement of the Vice-President of the European Parliament and head of the SYRIZA delegation, Dimitris Papadimoulis, who introduced the theme “The far-right in the EU. The response of the Left”. It is of course, brash of the EUL/NGL to organize a discussion on the struggle against the far-right and to arrange for the representative of SYRIZA who for four years now, co-governs with the far-right party Independent Greeks (ANEL) , to present on this topic. In his intervention, the SYRIZA representative estimated that the cause of the rise of the far-right is found in the “neoliberalism that increased the inequalities” in our society. To tell the truth, it’s interesting to read these lines from the representative of a governing party that during its 4-year governance implemented all of the harsh anti-popular measures that the previous ‘right’ and social-democratic governments had managed to load onto the backs of the people, burdening the people with new, additional measures, with the goal of increasing the profits of the large enterprises. This anti-popular policy that was implemented by the ‘left’ government of SYRIZA as well has led 46.3% of the population to live below the poverty threshold. 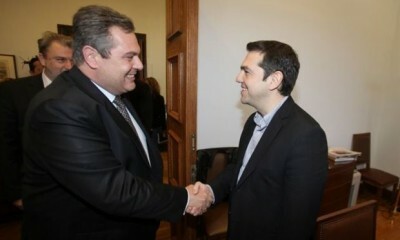 Really, how can the tears of SYRIZA regarding the rise in the far-right and fascism correspond with the joint excursions of its parliament members with those of the Nazi “Golden Dawn” to Kastellorizo? How is it that its government invites representatives of Golden Dawn to a series of fiestas and celebratory events? How has the “left” government not taken all the necessary steps in order to end the trial of the dozens of Golden Dawn leaders that has been running for the last 5 years, where those on trial have been charged with murder and other serious crimes? Perhaps the vice-president of the European Parliament does not know that the parliament he represents has taken a series of decisions that bring grist to the mill of revising history and the vindication of the Nazis along with those that collaborated with them? He doesn’t know that the very EU which the SYRIZA forces have always supported and which the EUL/NGL forces beautify, cultivating confusion with the myth around the ‘correcting’ of this imperialist organization, has raised anti-communism to the level of an official ideology, in this way ‘putting fresh wind in the sails of” the far-right and fascist forces? He doesn’t know that with the support of the EU in a series of countries the communist parties are banned, or, face huge obstacles that block their political action? Has he forgotten that one of the very first trips by the President of SYRIZA, A. Tsipras, as Prime Minister, was his visit to Ukraine and his meeting with its President P. Poroshenko who in the period just before had risen to power through a coup against the leadership of the country, supported by fascist forces? Of course he knows all this! Just as he well knows that every year the EUL-NGL participates in the celebration of the anti-communist Sakharov Prizes instituted by the Euro Parliament. Therefore, the hypocrisy of the forces of the so-called “governing left” is great, pretending that they don’t know anything about the crime in which they themselves participate, managing capitalism, implementing anti-people policies. Anti-communism and anti-Sovietism, combined with the revision of History and the vindication of the Nazis, along with the refuting of hopes that were sown by the social-democratic governments (old and new), are factors that “prepare the ground” for the development of nationalist, far-right and fascist forces. The services provided by SYRIZA to capital and Euro-Atlanticism reinforce nationalism. Moreover, the aim of the SYRIZA-ANEL government to serve the interests of big capital and its international alliances with the USA, NATO and the EU is what led to the so-called “Prespes Accord”. The aim is clear: To promote the integration of FYROM and the Western Balkans as a whole into NATO and EU imperialist associations in order to “crush” the competitive interests of other imperialist powers seeking to strengthen their positions in the Balkans. The “Prespes Accord” that the SYRIZA government signed to support Euro-Atlantic plans, preserving the seeds of irredentism, strengthens nationalism on both sides of the borders. It proves once again that bourgeois cosmopolitanism of which SYRIZA is a ‘master’, perfectly suits the forces that cultivate nationalism. On this of course, Mr. Papadimoulis didn’t say a word in Cyprus. Conversely, he supported the notion that the “antidote” to the strengthening of the far-right is a “united left” that can organize “great progressive alliances”. These “great progressive alliances” are nothing else but the dream of combining new and old social-democratic forces, who, as we stressed, have huge responsibility for the strengthening of the far-right and fascism. Of course these forces that are integrated into the capitalist system, that support the imperialist associations of the EU and NATO, the plans of the USA, cannot in any way contribute to confronting the far-right and fascism. They mislead the working people disguised in the cloak of “anti-fascism” and “progressive and anti-fascist fronts”. Brecht wrote that “fascism can only be fought against as capitalism in its rawest and most oppressive form” and it is irrefutably true that fascism is born out of capitalism. Can it be fought against and beaten? 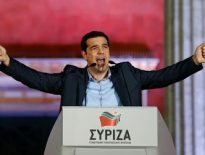 Only the forces that have clarified that the issue is not the method of management of the system, as is claimed by the new social-democracy of SYRIZA and its allies, but the capitalist system itself. The Communist and Workers’ parties that have created a front against capital, the imperialist forces such as the USA, as well as the imperialist associations of NATO and the EU, and not those of the new social-democracy that actively participates in their designs. Only the communists that maintain a front against capitalism, the monopolies, the imperialist unions, that wage a battle for the formation of the social alliance of the working class with the other popular strata and who will send to the “dustbin” of istory the “womb” that gives birth to fascism, the capitalist system. Elisseos Vagenas is a member of the Central Committee of KKE and director of its International Relations Section.